Celebrity Stork Report: Elsa, Ginnifer & Kelly Are Expecting! Home » Celebrity Stork Report: Elsa, Ginnifer & Kelly Are Expecting! ‘Tis the season for babies – celebrity babies, that is! Pregnancy announcements and birth announcements from celebrity parents have flooded the media and social networks this week. Here are some of the highlights! Spanish-born star, Elsa Pataky (Fast & Furious 6) and actor husband, Chris Hemsworth (Thor) are expecting another baby. US Weekly received confirmation about the upcoming birth of the couple’s second child on November 20th. The new baby will be joining 18-month-old India Rose. 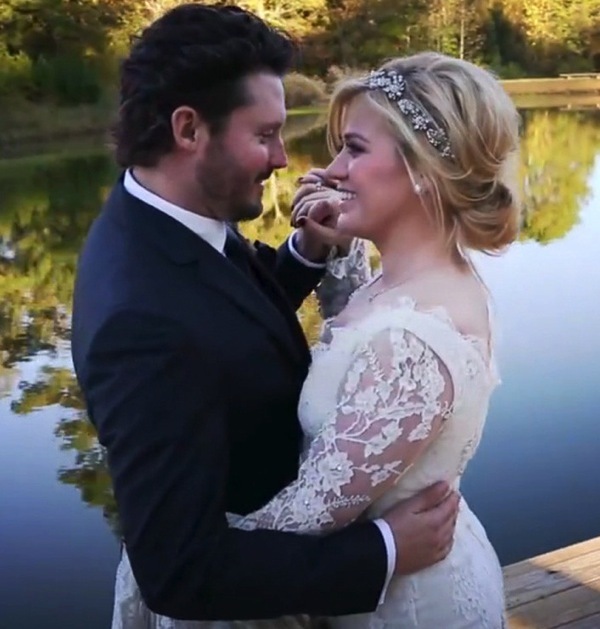 Newlywed couple Kelly Clarkson and Brandon Blackstock are expecting their first baby together. The announcement came on Kelly’s Twitter account on November 19th. Of course, they’re not the only ones excited – Brandon’s two children, Seth, 7, and Savannah,11, (both from his previous relationship) are looking forward to a new sibling as well! Ginnifer Goodwin and fiancé Josh Dallas (Snow White and Prince Charming on the ABC hit show, Once Upon a Time) continue with their ‘Happily Ever After.’ According to PEOPLE, they’re expecting their first child. Though no details have been released about the due date, the couple says they are excited to “celebrate with…friends and family” – not just on the upcoming birth, but also in their recent engagement announcement back in October. Scott Wolfe’s Third Baby will be a Girl! Scott Wolfe and wife Kelley will be living their very own Party of Five after their third child – their first daughter – arrives in May. The announcement was officially shared by PEOPLE on November 20th after Scott tweeted about the upcoming birth on his official Twitter account. Scott also admitted that his daughter will be his undoing. Their daughter will be joining siblings Jackson Kayse, 4 ½, and Miller William, 1. Chris Powell’s family just grew a little more. The Extreme Weight Loss trainer welcomed a baby girl with his wife, Heidi, on November 16th. Ruby Lane Powell, who arrived at 8:20 in the morning, weighed in at 6 lbs., 15 oz. and 20 inches long. Baby Ruby joins 2-year-old Cash, the couple’s first child together, and Marley, 6, and Matix, 8, from Heidi’s previous relationship. 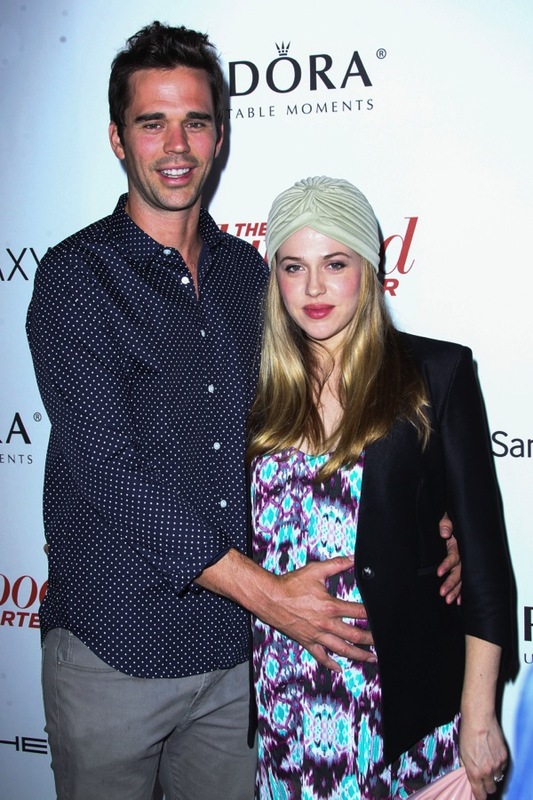 Actors David Walton and Majandra Delfino welcomed their second child – a baby boy – on November 10th. The impatient little boy’s birth ended up taking the couple by surprise while they were in Ojai, California. One “action-packed trip back to Los Angeles” and a “close call on the side of the road” later, Louis Augustus Walton was born at a healthy 8 lbs., 7 oz., and despite being a few weeks premature, he is reportedly doing well. Baby Louis will be joining his 17-month-old sister, Cecilia Delphine.